Building on the success of its ARMIN Manual collection (AMW11 calibre), this new generation of movements was developed with a single objective in mind: to optimise each aspect for maximum efficiency. Gears have been reworked to guarantee better performance. Integration of the escapement has been improved to maximise energy flow. 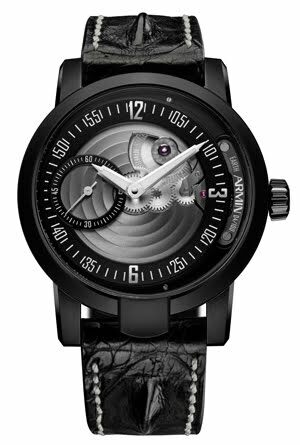 True to its reputation, Manufacture Armin Strom has raised the bar higher still for the movement decoration, entirely by hand. Technical and aesthetic excellence also defines the ARMIN Manual New Generation collection of limited series for each of the four elements: Earth, Water, Air and Fire.